The Brilliant Club supports students to develop the knowledge, skills and ambition to progress to highly selective universities and thrive once there. 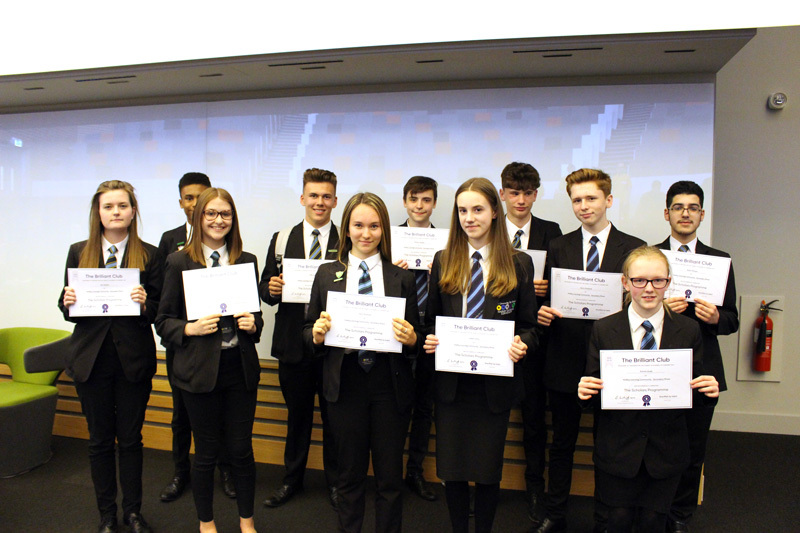 A group of Year 10 students has worked closely with a PHD tutor to complete a project including a final assignment at a university level, developing their debating, referencing and independent research skills. The programme included a launch trip to Nottingham University and graduation at Warwick University. Whilst on campus students were given a tour of facilities, completed a study skills workshop and were able to talk with current students about their experience of university life.